Reason why I haven't left NJ yet: Italian. ***ing. Delis. 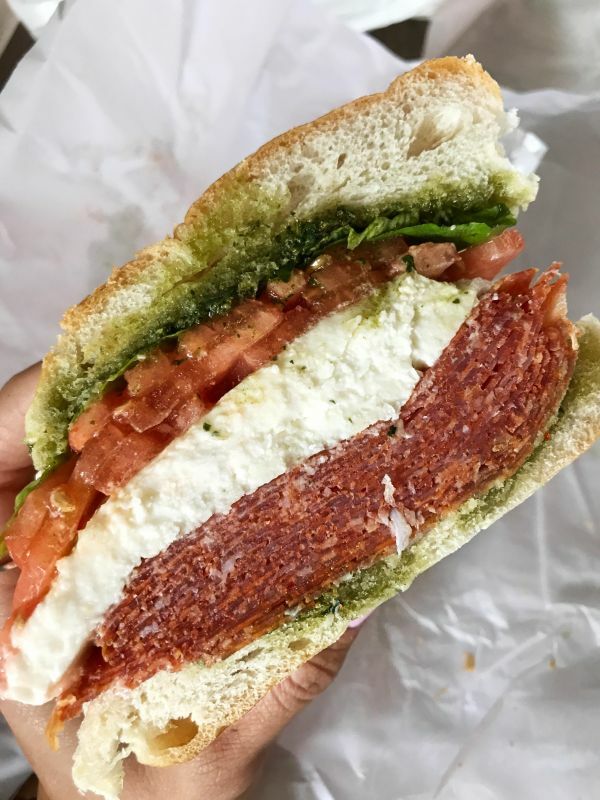 Soppressata, fresh mozz, and pesto.